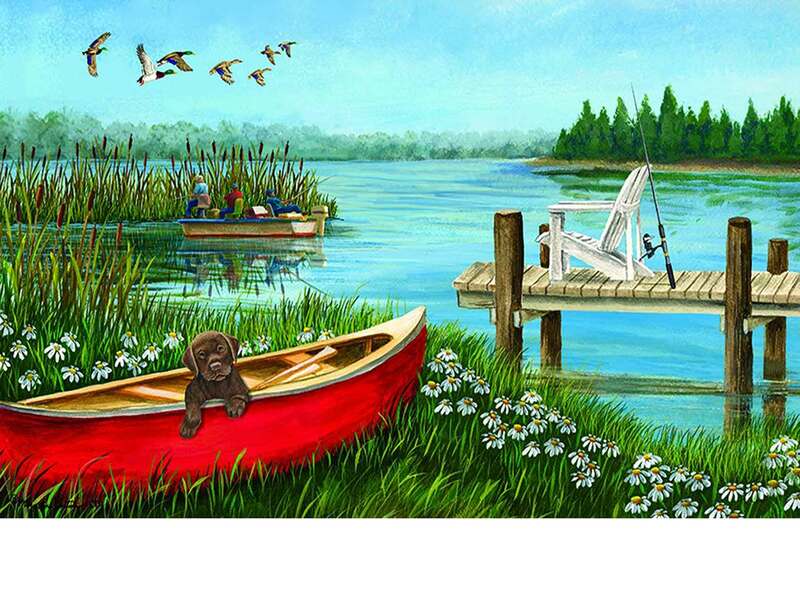 Do you love the summer time and spending time at the lake? 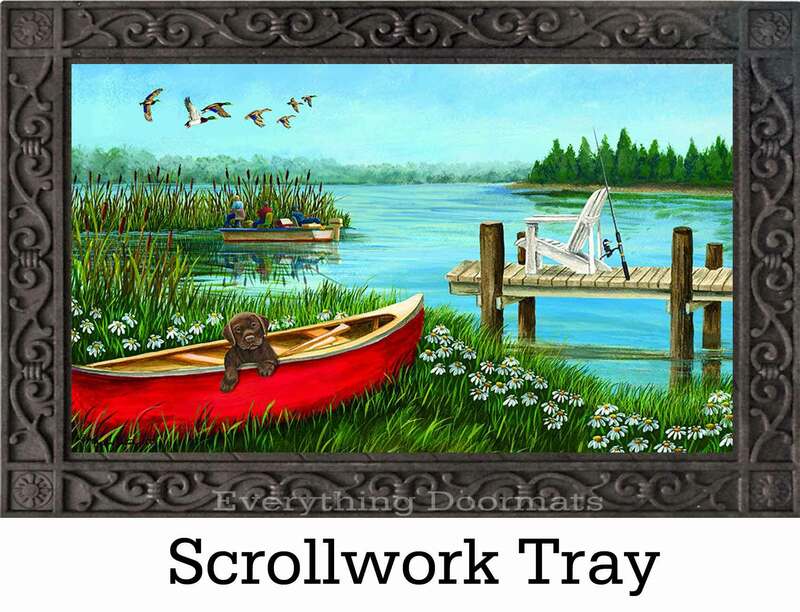 Then dress up your home or lakehouse with this beautifully wrought Fishing Dock insert doormat featuring a stunning image of afishing dock and lake. 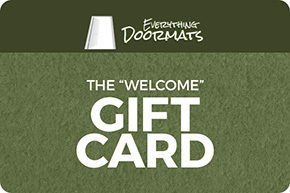 Made to be used as a stand-alone mat this mat can be used indoors or outdoors. 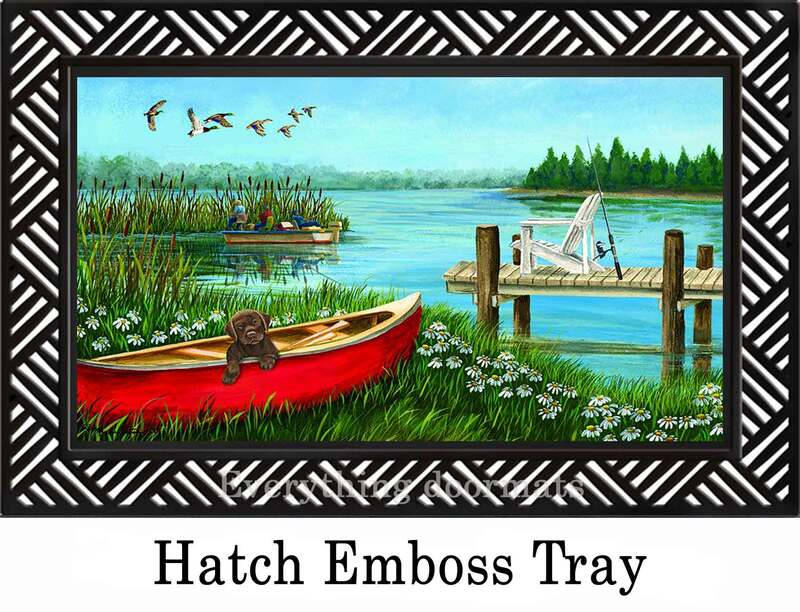 In addition it can also be paired with our outdoor tray for a bold and dressed up elegant look. 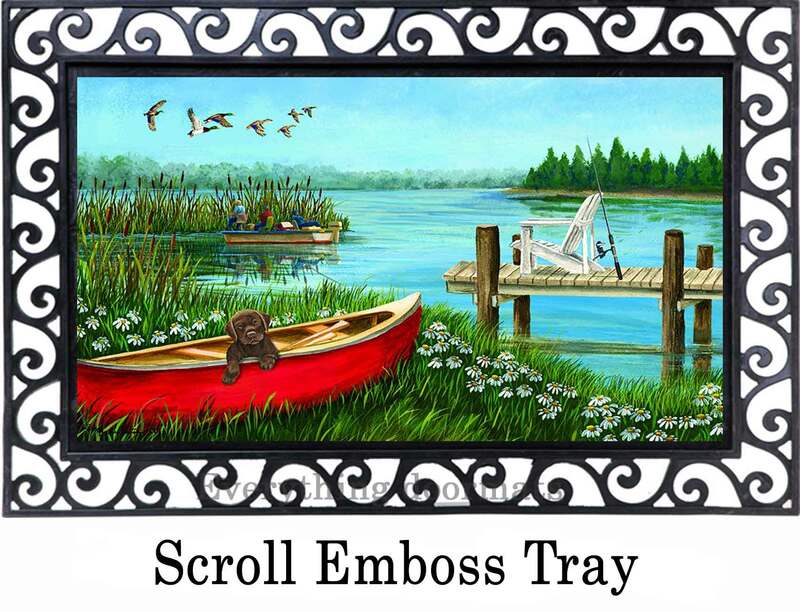 Additionally you can pair it with our indoor tray for a soft ergonomic standing surface. 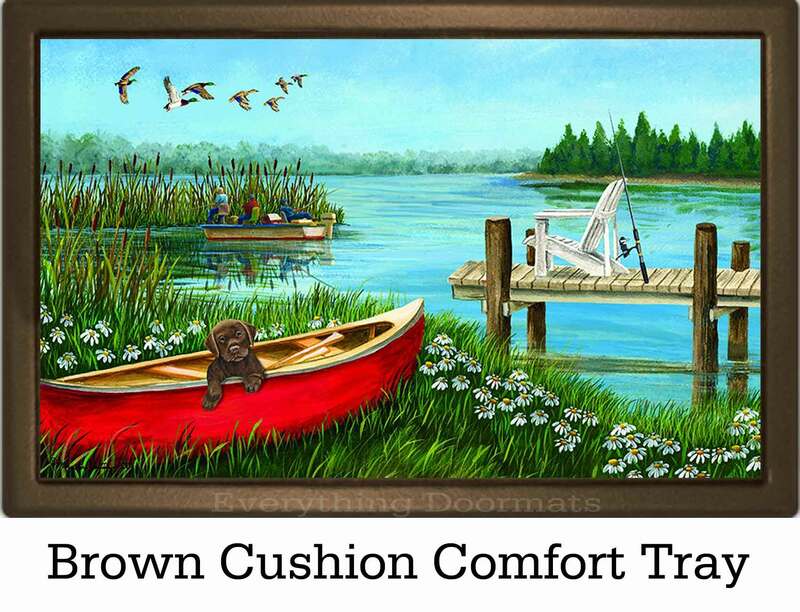 This Fishing Dock insert doormat is 17.5" x 29.5" x 3/16" when used as a stand-alone mat. You can view how your mat will look as a stand-alone mat or in the various trays that we currently offer by clicking on the images above.